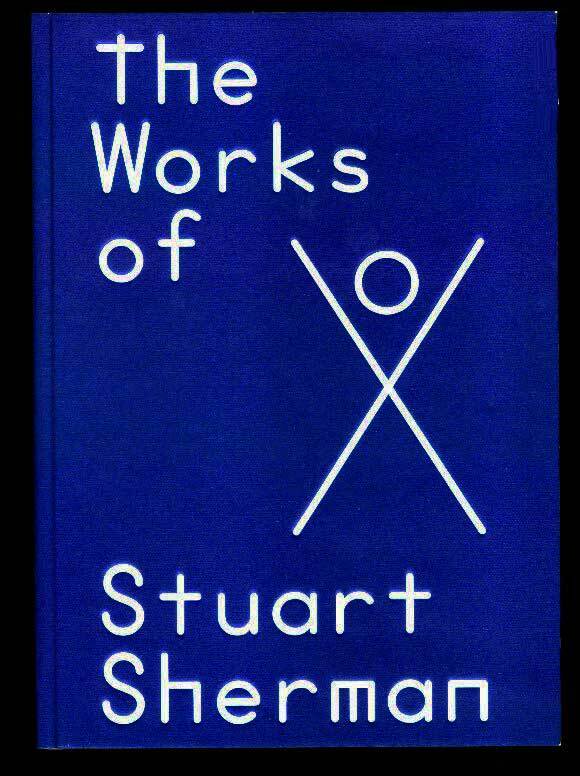 Two years ago, Artezine reviewed two related Stuart Sherman shows here in New York; see Stuart Sherman Reappears. 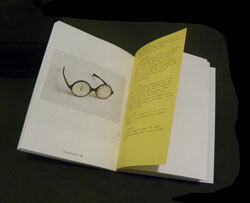 The book is not exactly a plain catalog of the show — 'here is this, there is that, it is 78.3 centimeters wide' — rather, it is another partial view of Stuart Sherman's work which in its entirety would require the physical dimensions of the Encyclopedia Britannica along with a video monitor and a set of tapes or DVDs. A number of people familiar with him or his work have written appreciative and explanatory essays, and there are numerous photographs of the material that was displayed on the walls of the exhibition. 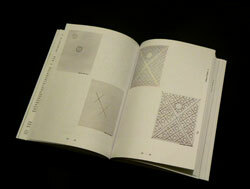 In addition, there are what we might call 'plates', full-page reproductions of some of Sherman's drawings and collages. Interspersed with the regular sheets of the text and the plates are somewhat narrower yellow pages on which notes of Sherman's have been printed. Many are rather epigrammatic; one might say they have the same flavor as certain koans. For instance, 'Bright as the light is, it is not as bright as it was before this sentence diminished it.' Others are more Kabbalistic. They pop up as one goes through the work and comment obliquely on one's search. It is good to have this book because Sherman was a mysterious person who produced superficially simple items and events that can evoke great depths which reveal themselves to study and meditation. 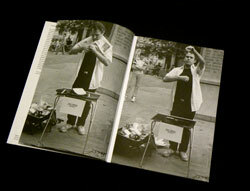 The book is available from, at least, Printed Matter and Karma.